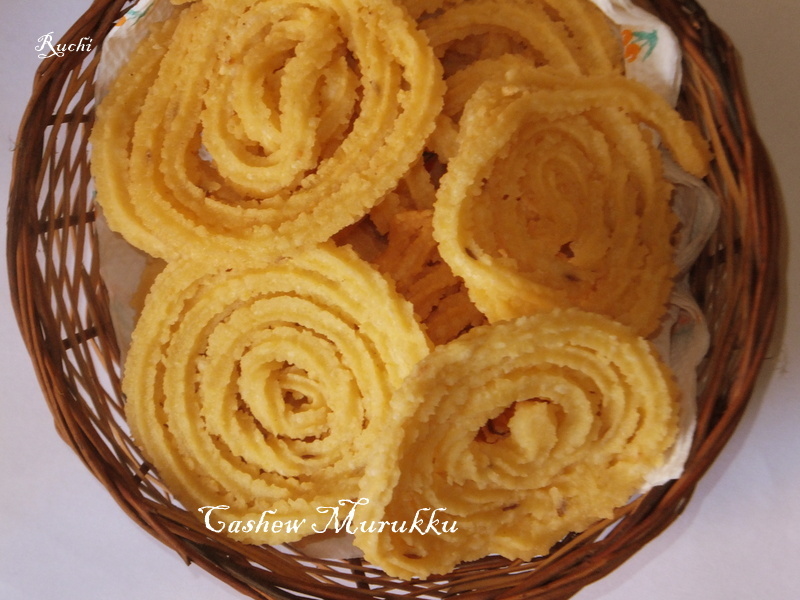 Cashew Murukku is a rich, crunchy and delicious murukku prepared with rice flour and cashew paste. Compared to all other murukku’s this one is extra delicious with the addition of the cashew makes this murukku so flavorful and crunchy.. 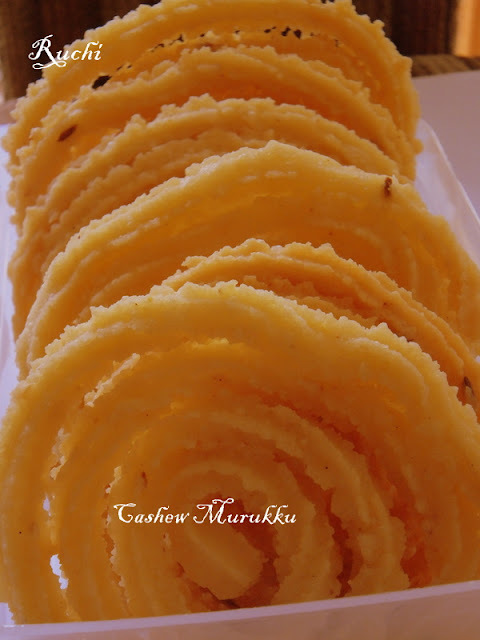 This cashew murukku is perfectly crispy and love to have it as an evening snack along with a cup of hot chai/coffee. 1.Soak the cashew nuts in a little water for 15 mins and then grind it to a smooth paste along with the water. In a mixing bowl, add all the ingredients-flour, jeera, asafoetida, salt and ghee. 2.Mix thoroughly and crumble everything well. Then Add the ground cashew paste to the mixing bowl. Mix well. Then sprinkle a little bit of water, as needed, to make a soft and smooth dough. The dough should not be too thick or too thin. 4.Heat oil in a deep frying pan over medium flame.. Now gently drop the murukku into the oil. Deep fry 2 to 3 murukku at a time. Do not overcrowd. 5.Let it cook on low flame till it turns crispy. Then gently turn to the other side and let it cook till bubbling stops. Now remove and place it on a kitchen towel to remove excess oil.